Aside from traveling, my other passion is food. I am a curious eater, which means I tend to go for the strange food people shy away from. My philosophy is: you have to try it before you can completely write it off, and most of the time the weird wacky food ends up being the highlight of my trip. Usually when we travel, I always want to try as much new and local cuisine as I can. Since I only have one stomach, sometimes the result is comical. My mom always says that my eyes are bigger than my stomach, but what’s a girl to do when there is so much good food around? I knew the food was going to be amazing in Peru. After all, it is where ceviche is thought to have originated! 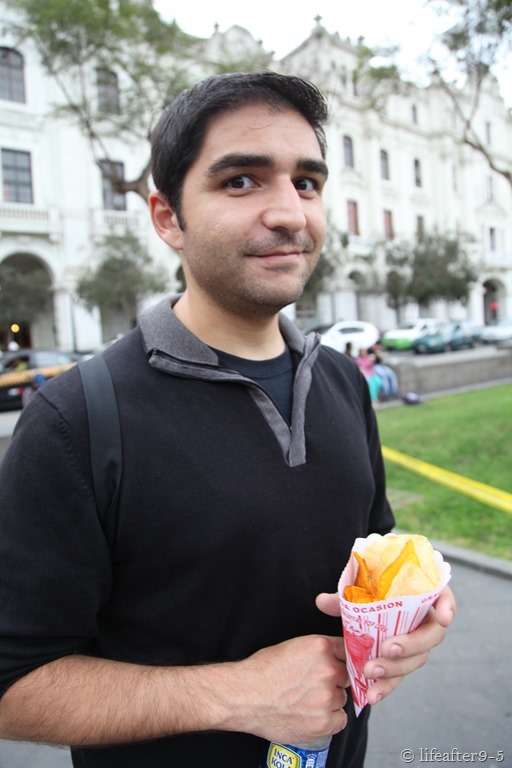 There are so many things I wanted to try, but also knowing that we only had a day in Lima, I tried to be selective. Here are the highlights of all the food we ate while in Lima. 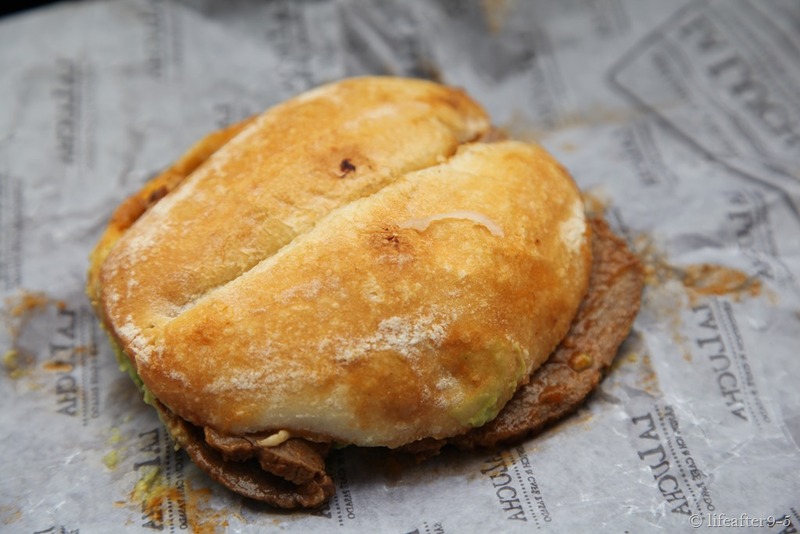 Peruvian Sandwiches – Sanguche (or sandwich) is a big part of Peruvian food and there are numerous Sanguerias around Lima offering different sandwiches in many different shapes and flavors. 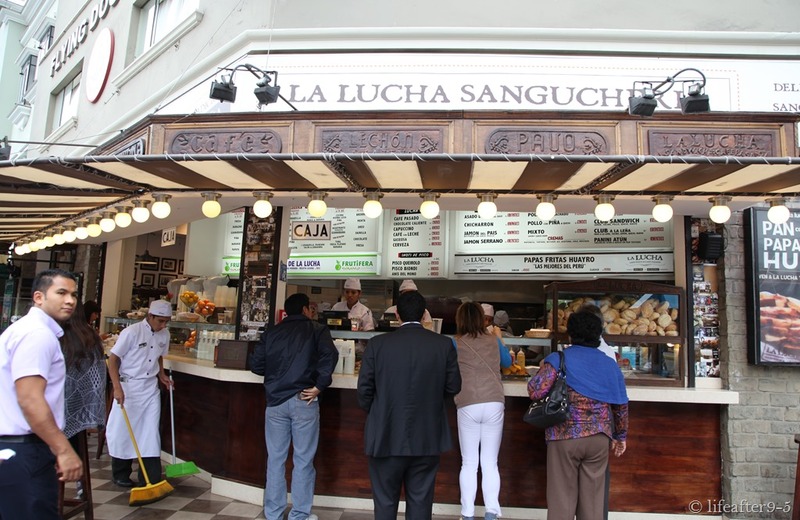 As we waited at a corner for the street light to turn green, we saw La Lucha Sangucheria, a sandwich shop with a line of people at the front. Curious, we went and got one to try. It turns out that this is one of the most popular places to eat in Lima; we totally lucked out. It was a delectable sanguche, and a fine example of Peruvian flavors. The bun has a nice crust, but is also light and airy. Inside we got roast beef and avocado, covered in their special sauce and topped with salsa. It was a well-balanced combination full of juicy and crunchy taste. We finished the whole thing in 2 bites. In fact, we liked it so much, we came back later that night to try another sandwich after dinner. La Lucha also serves different fruit shakes made to order. If this is the Peruvian version of fast food, I want to move here. We were off to a very good start. 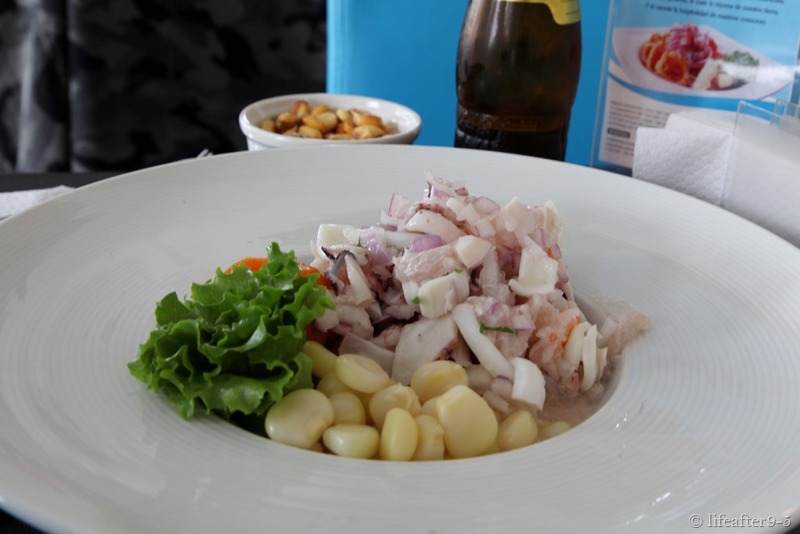 Ceviches – This was my favorite thing to eat while in Peru. How can you go wrong with large succulent chunks of fish that are nicely marinated? Ceviches are made with fresh fish or shellfish cured in citrus juice and seasoned with a little salt, chili peppers and fresh herbs. Most cebicheria serve the ceviche with sweet potatoes and choclo, a Peruvian corn that nicely compliments the flavors of the fresh fish. Ceviche is not limited to fish, there are a wide variety of ceviches made with different seafood. Or you can go bonkers and get the mixto ceviche which is a mix of everything (as the name so aptly describes). 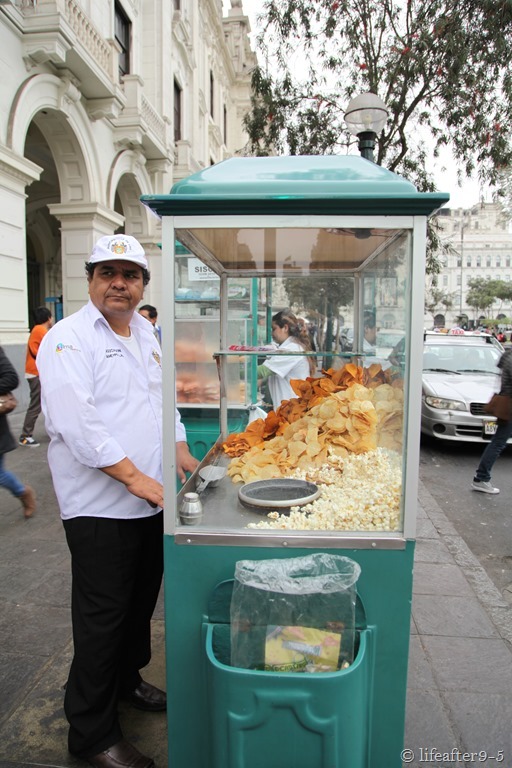 Street Snacks – There are a large assortment of carts selling street snacks in Lima, ranging from chips to pineapples to quail eggs, a local favorite. For a Sol, you can get a small cone filled with crispy potato, plantain and yam chips that was freshly made. And for another Sol, you can get yourself a bag of quail eggs. 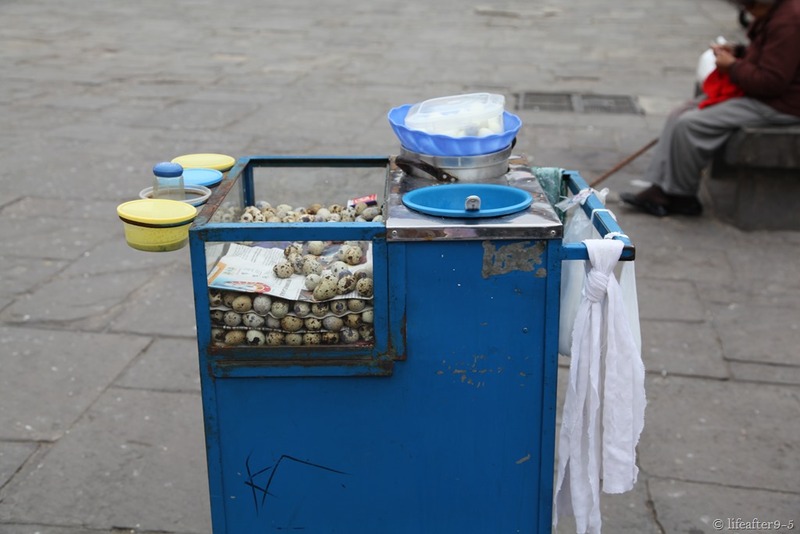 After a full day of walking around Lima, we were hungry, so we tried both the chips and the quail eggs. These are great when you have the munchies because they are small and perfect for sampling but won’t ruin your appetite for dinner. 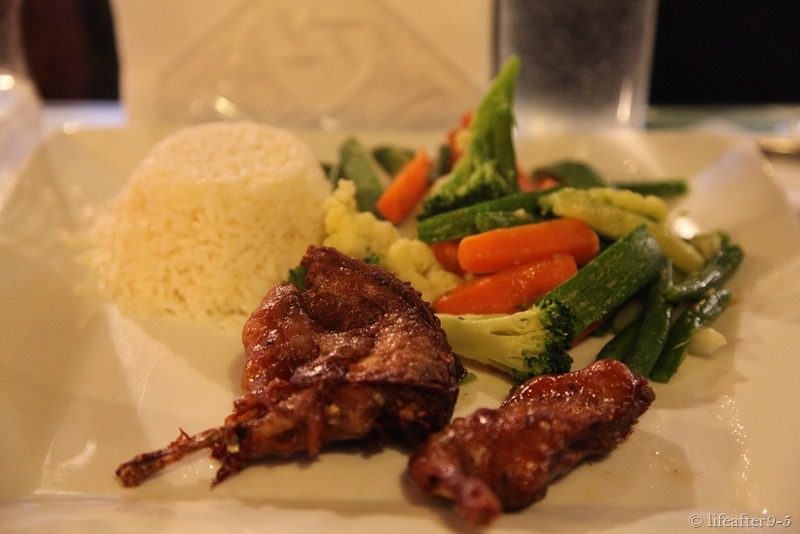 Cuy Cuy Cuy – How can you come to Peru and not try their guinea pigs? It looks like a smaller suckling pig and tastes like a cross between chicken and pig, except more tender and moist. 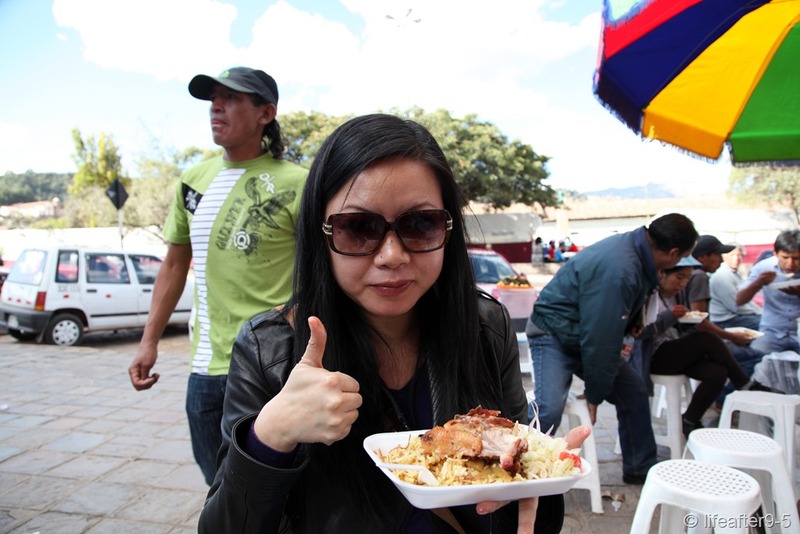 In Lima, they usually served part of the cuy, with the skin fried so it comes out nice and crispy like crackling. It’s hard to tell what you’re eating if you don’t know you’re eating guinea pig. In Cusco, they tend to serve the guinea pig whole, usually stuffed with local herbs and roasted in the oven. This can be more overwhelming, especially when you see the teeth and the little paws. The skin on the roasted guinea pig tasted more chewy and tough compared to the fried version. You can do what the locals do, chow down and eat all parts of the cuy down to the bone. A whole guinea pig to myself. 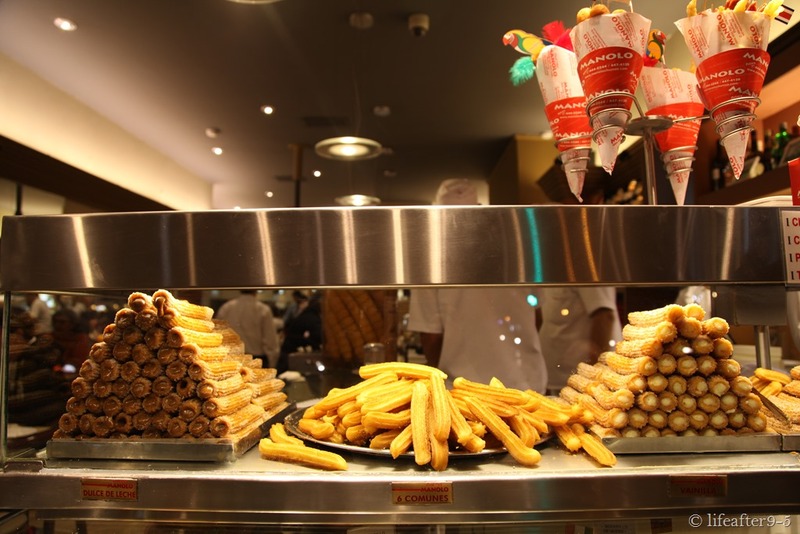 Churros – After a very big dinner, we walked over to grab some dessert at local churreria, Manolo. I’ve read that they have really good churros, but I was hesitant to order. Last time we had churros was in Spain, and it was not as good as I expected. 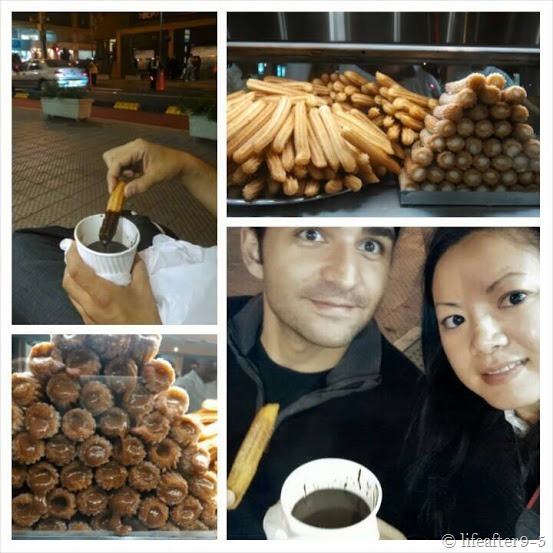 At first taste, it was satisfying, but as you continue to eat, the churros dipped in chocolate become too heavy. After perusing the store front for a few minutes, we decided to try the three stuffed churros, dulce de leche, chocolate and vanilla. Surprisingly, they were light, not greasy and the filing was not too sweet and didn’t overwhelm the pastry. It was so good that we decided to come back and get another 6 plain churros with the chocolate dip. Yes, you added correctly, we ate 9 churros. It was a lot of sweets, but we ate it all. Pisco Sour – I know this is a favorite for most people visiting Peru, but personally I don’t see what the big deal is. It tastes very similar to a margarita. I think it’s because I am not a big drinker so this does not appeal to me as much. But you can find them everywhere, in every restaurant or bar. We managed to stuff ourselves with a lot of food in a day. It was a good introduction to the flavors of Peru and made me excited to try more local fare in Cusco (on my list to try is alpaca steak and quinoa soup). 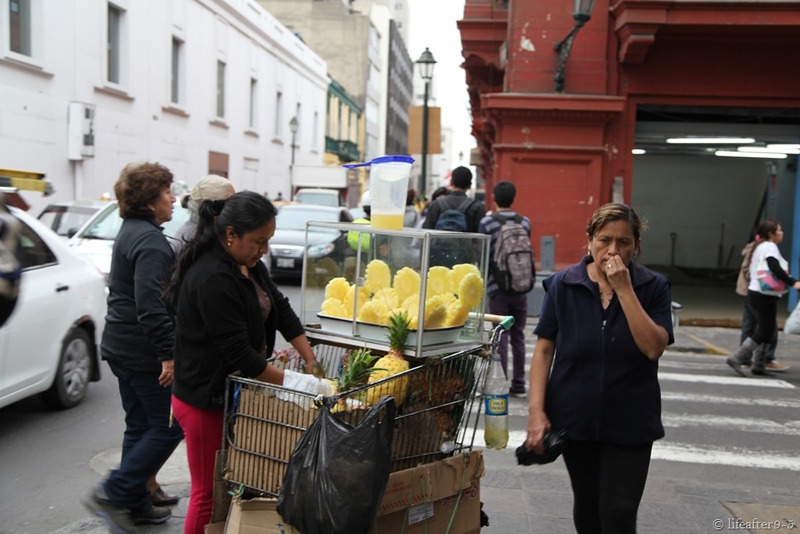 Check out my other post to see what else we did while in Lima, that didn’t involve food. Lima has some of the best food! This post makes me hungry!